This review is for the Safeco Lloyds Health Insurance Company, an affiliate of Safeco Insurance. 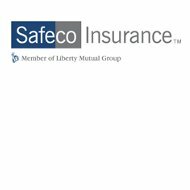 Safeco Insurance is part of the Liberty Mutual family of insurance companies. Safeco Lloyds Insurance offers a variety of different insurance products to both individuals and businesses. However, none of the products offered are for health or medical insurance. Are you looking for health insurance? Our easy search tool allows you to compare companies and products easily and quickly. Enter your zip code to get started today! The Liberty Mutual Group has been offering insurance products for nearly 100 years, and is considered the fifth largest insurance company in the United States. Liberty Mutual is considered a Fortune 100 Company. Safeco has more than 3,000 employees, offering many insurance products, and has 24-hour customer service support for Safeco customers. The regional offices include Property and Casualty Offices, Customer Care Centers and Service Offices. The main telephone number for Safeco is 206-545-5000, and each of the regional offices has their own phone number as well. Car insurance helps individuals and businesses get protection for the vehicle, including protection for the driver and passengers, as well as emergency roadside assistance. Customers can get auto insurance by speaking to an independent Safeco agent, by calling the main toll free numbers, or applying for a car insurance policy online. Homeowners insurance is available to individual homeowners, condominium owners, landlords, or even a renter. Insurance cost is based on how many coverages are included in the policy, how much each of the coverages will pay in the event of a loss, and what the limits are. There is detailed information on the Safeco site about the other insurance products available through the company, including details on how to obtain coverage and what the different coverages protect. However, none of the products are for health and medical insurance, and since this review is for health insurance only, additional details on the insurance products from Safeco can be instead found online. Safeco Lloyds Insurance Company, through its parent company Liberty Mutual Group, has been accredited by the Better Business Bureau (BBB) since 1931, and has an A+ rating from the BBB. The A+ rating stems from the more than 400 consumer complaints made against Liberty Mutual over the last 36 months, and the fact that Liberty Mutual was responsive to all the complaints. However, it is not clear as to how many of the complaints were made about Safeco Lloyds Insurance Company. There are three separate customer reviews on the Better Business Bureau, two of which are negative and one of which was neutral. As with the complaints, there was no distinction between insurance companies and it is not possible to tell if the reviews were for Safeco Lloyds. The Safeco Lloyds Life Insurance Company has a rating of an A (Excellent) from the A.M. Best Company for its financial rating and has a financial outlook of stable. The Safeco homepage has an extensive careers page on its website, and offers information on jobs and working for the company. There is also a general search, and information about working at the company, benefits offered to employees, and information about Liberty Mutual’s commitment to helping people live safer and more responsible lives. In addition, Liberty Mutual was honored by Business Week as a 2009 recipient of one of the best place to start your career. Are you looking for a simple way to look for health insurance coverage? The tool below can direct you to many different health insurance companies just by entering your zip code. Try it today!